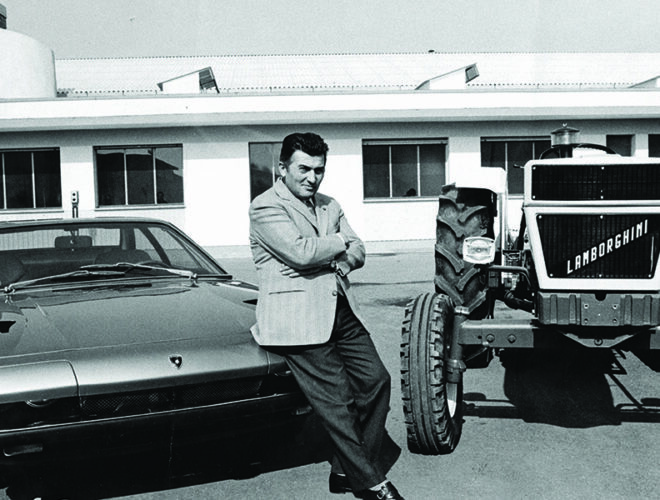 It may come as something of a surprise to learn that Ferruccio Lamborghini, the man behind what few would dispute is Italy’s most glamorous car brand, came from a farming background and founded his empire after the Second World War building tractors. bulls – the inspiration for the famous Automobili Lamborghini logo – that spurred him on to take a charge at Enzo Ferrari and his sports-car regime. Whatever the inspiration may have been to set up in Sant’Agata Bolognese, it was no coincidence that the engine of the very first Lambo, dubbed 350 GTV, was the work of none other than Giotto Bizzarrini, who once plied his trade as an engineer down the road at Ferrari. While the GTV in its clothes penned by Franco Scaglione drew acclaim, Ferruccio was a hard taskmaster and in his quest to create ‘the perfect car’, he approached the design studio Carrozzeria Touring, where Felice Anderloni was tasked with finessing the original. The resulting 350 GT and 400 GT models certainly triggered increased interest in the brand, but it was the Miura, complete with its distinctive headlamp eyelashes and mid-mounted V12, that caused a real stampede. Needless to say, the model name was derived from an especially fearsome breed of fighting bull. 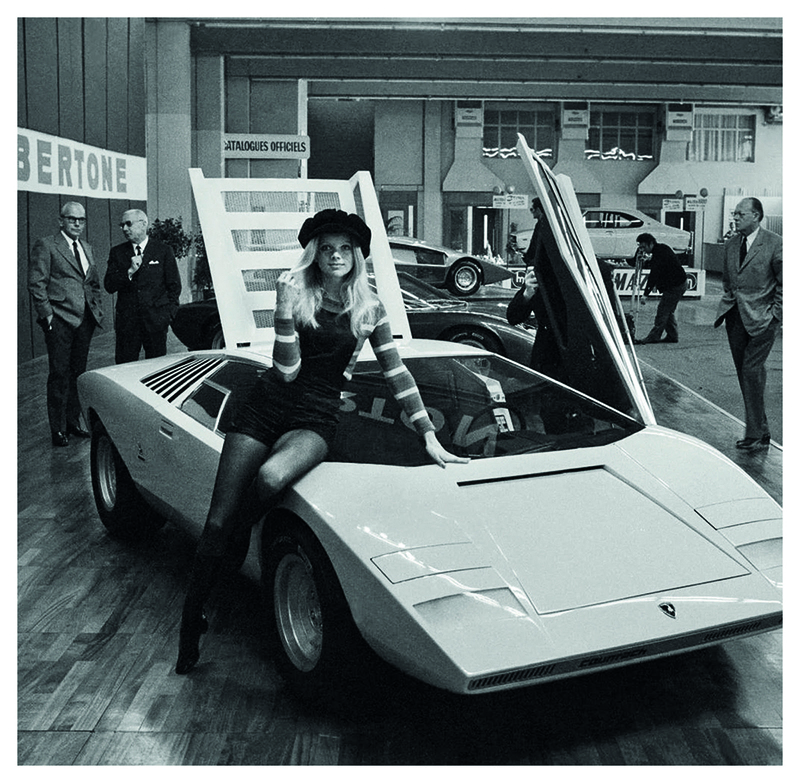 Famous design house Bertone, under the aegis of Nuccio Bertone himself, designed the crouched lines of what was to become one of the world’s first supercar and one that gored Ferrari’s apparently impregnable hold on the wallets of the rich and famous. It needed the skills of one Marcello Gandini, whose father had earned fame as a conductor in Italy, to hone the design details of the Miura to make it fully road compliant, and it was his artistry that came into play in designing the rather oddball four-seater Espada in the late ’60s, as well as the more conventional, but still striking Urraco. It happens that Marcello’s influence on the direction of Lamborghini design almost floundered before he had executed a single stroke on a drawing board. 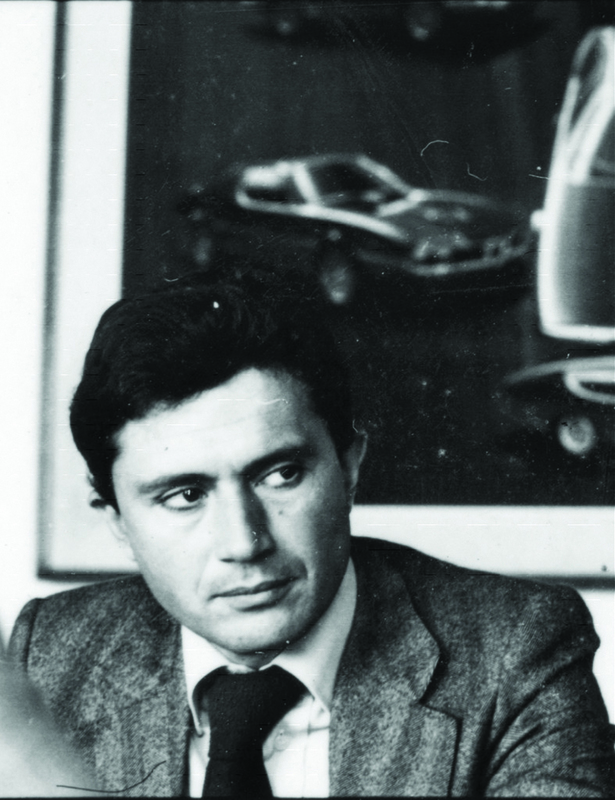 He had approached Bertone Design in 1963 at the age of just 25, seeking a chance to express his skills, but his application was blocked by none other than Giorgetto Giugiaro. the company of VW Karmann Ghia fame. 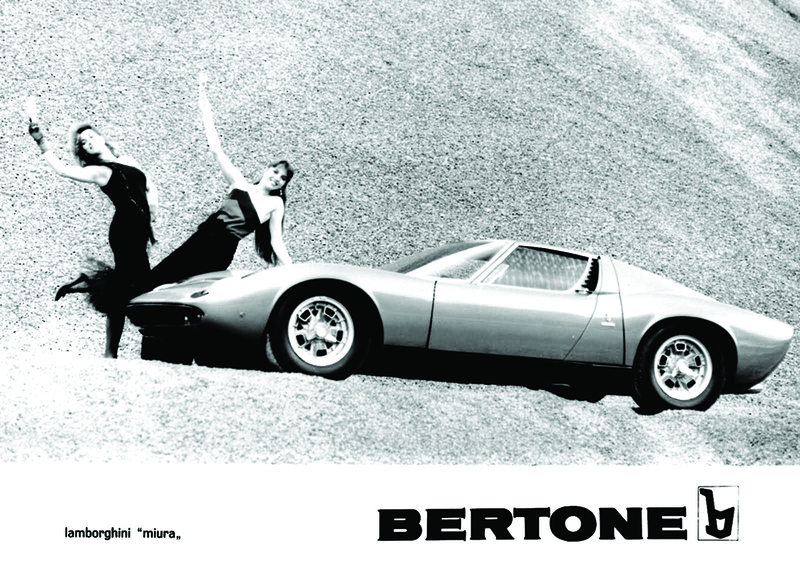 The fact that Bertone immediately hired Marcello may tell you everything you need to know, and the two will live on in history – a history forever etched in the profiles of some of the most revered supercars ever designed. 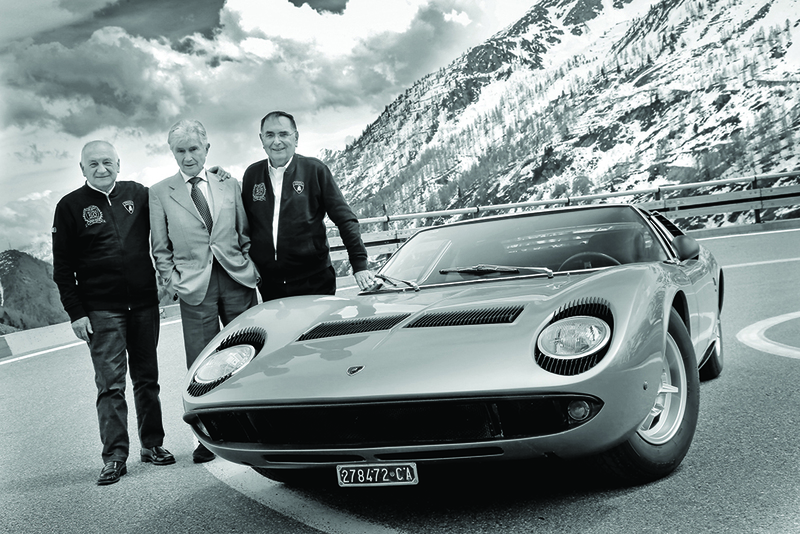 Following the heady successes of the Miura and its blood brothers, Automobili Lamborghini entered a period of economic turmoil that saw Ferruccio himself take leave of Sant’Ágata in 1973, downed by his ailing tractor empire. Ironically, just a year later, Lamborghini launched the car that was to become a global poster boy, a dream machine of tens of thousands all over the globe – the 309 km/h (claimed) Countach. A number of factors militated against the future of this mighty machine, not least the US oil crisis of the mid-1970s, which brought about further reduced speed limits and the rise of economy-oriented cars. the chiselled lines, excessive wheel-arch extensions and scissor doors that collectively distanced the Countach so far from its Miura forebear that the family lineage was hard to detect. Those scissor doors were pioneered by Marcello on a prototype Alfa Romeo 33 and ensured that the Countach became a celluloid star, more often with doors aloft than with doors closed. 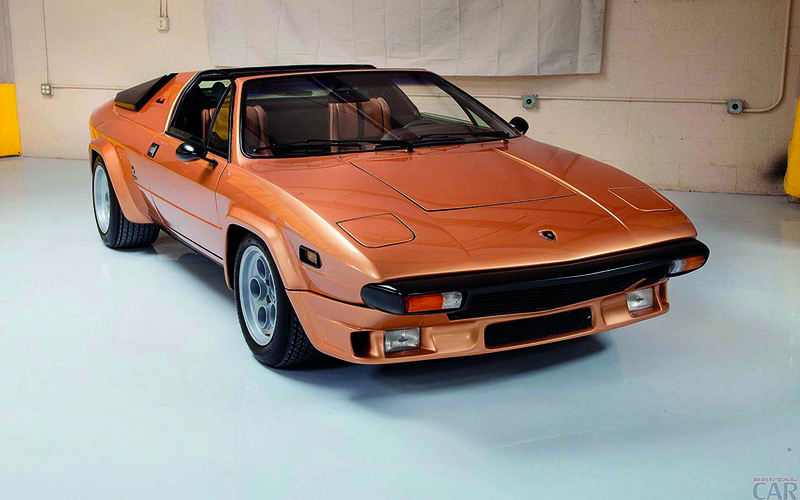 Its successor, the Diablo, was also penned by a now-freelancing Marcello, but never quite lived up to the hype generated by the once-in-a-generation Countach. styling by Marcello would set pulses racing, the rocky survival of the parent company through periods of incessant ownership changes and visits to the receiver came as more of a surprise. Happily, Sir Galahad, in the shape of Volkswagen motor mogul Ferdinand Piëch, rescued Lamborghini in 1998, not just from another line-up of unsuitable suitors, but almost certainly from a lingering death. 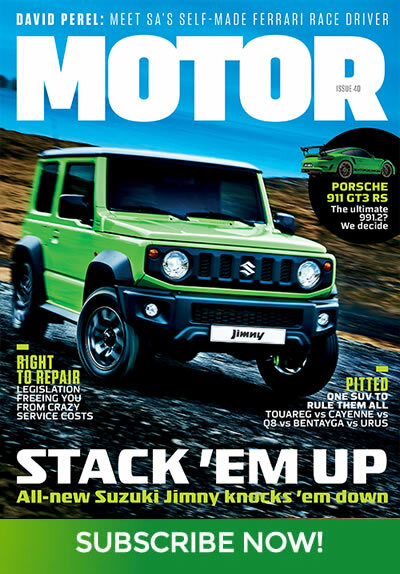 With VW money and Audi engineering know-how, not to mention the inspired design inputs of Fabrizio Giugiaro and Luc Donckerwolke, Lamborghini’s fortunes, once again, rose like a phoenix from the ashes with models such as the Murciélago, Gallardo, Aventador and Huracán adopting elements of Marcello’s original mould-breaking angular styling, complemented by gaping air intakes and bulging flanks that could only belong to a Raging Bull. Doubtless, Ferruccio would have approved.